Market Vision, one of the leading PR agencies and one of the renewed market research agencies in Macedonia, was originally established in 2001 as a consulting company. 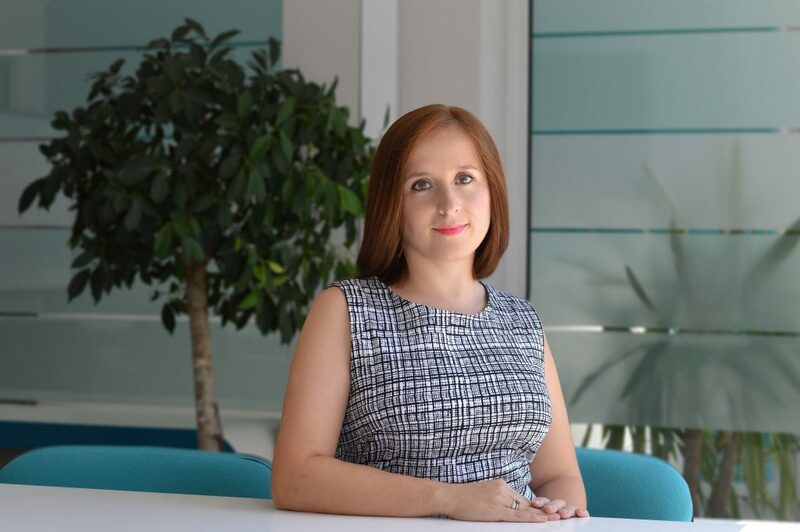 A few years later an expert from communication business joined the team and what followed could be described as “an evolution into unique blend” as Nikolina Stojanovska, a marketing specialist at the agency explains. Being curious, we couldn’t resist asking them about their name. Nevertheless, snipers, pilots, and some other professions need “a perfect vision”, does a successful agency (or client in that regard) need “Market Vision”? They think that this may not be the case for the agency, but every client definitely needs that, i.e.the clear view of what, how and why is happening on the market. “And this is the agency that can provide it for them. That’s where the name originated, and since in this business English terminology is dominant, we named it Market Vision,” Stojanovska explains. As the agency’s expertise in market research is one of their biggest assets, it’s interesting to hear what’s their biggest challenge (although the agency always welcomes challenges). Is it research difficulty or is it implementation problem? Actually, it’s communication or to be more precise, the lack of it. “The toughest projects are those when the client has internal dilemmas or uncertainties about what the project goals are, or have difficulties in communicating them with us,” she says. “Simply when they don’t know what they exactly want! Such cases are rare but it happens.” Further, in the interview, we talk about their work with investment funds, collaborating on a healthy lifestyle campaign for the government, social good in advertising and more! Your list of clients is pretty long. You also worked with investment funds. How does working with companies that provide financial services differ from other companies? We have worked with investment funds, more precisely for private equity funds and they are considered as an elite of the elite in the financial world. They require high expertise because on some of our inputs and conclusion they are making investment decisions. Should they put money in or not? They were using us for industry analysis, market research, competition analysis, and similar marketing related tasks as part of due diligence for potential investments or post-investment management. What is specific about working for investment funds is that they precisely know what they are looking for, tasks are given in different companies in different industries and to deliver the required quality you have to be experienced expert in all components of the marketing mix. One interesting experience from working on these projects is that people in finance and people in marketing see the same problem from different aspects and therefore end up with entirely different conclusions. We went to a company to be invested in, reviewed the same documents, had the same conversation with the employees, and left the company with completely different impressions. The financial expert found the company to be in good shape having stable revenues, solid assets base, and low indebtedness despite insignificantly declining profit. Оn the other side we saw lousy perspective because although it used to have good market share, consumers perceive the newly appearing competitors’ products as more competitive. So, they can see the past perfectly, but for the future they need us, marketers, to mitigate the risks maximally. These funds are one of our most welcome clients because on such projects we find ourselves to be the strongest and most competent. You worked with the government back in 2014 for the promotion of a healthy lifestyle. Could you tell us more about it? The “Promotion of healthy lifestyle” was a public procurement project for which we implemented PR, Print and Digital campaign. TV campaign was done by other agency. The entire project was managed by Government expert in public health who has set the project’s goals and strategy. Our task was to create tools that will remind the people of the place of purchase to choose healthier options and also tools which can help them with weight management. We came up with the campaign slogan “Health is choice” and created printed materials which urge the customers to choose healthier option right on the spot where the purchasing decisions are made. We also developed a smartphone and web application named SuperFit which helped people develop good habits by tracking their healthy eating and physical activity goals every day. The application was available for free and in a very short period of time became very popular with approximately 20K downloads. What’s your take on “social good” in marketing/advertising? Do you think it’s just a fancy word or do you think social good and advertising can go hand in hand be effective at changing peoples’ lives? Successful companies have the capacity to change people’s lives in many ways without a doubt. On the other hand, the benefits of standing for a cause are obvious and many world-class companies recognizing the impact of being identified as “the partner in crisis” on company’s reputation and sales have chosen to align themselves to a specific cause. We can see these companies not only being popular but thriving. However, not all CSR activities are considerably helpful to society. In many cases, the CRS activities have nothing to do with helping people, but only with generating publicity. We believe that whenever the company chooses not only to make a simple donation but to adjust all its operations in a way that helps to solve the issue to some degree and basically making the standing for that specific cause to be one of the company’s values, then yes, a significant social good can be made by profit-oriented companies. One of your expertise is market research. You did a radio market research for one of the national agencies. What’s the state of radio in Macedonia compared to the world? And what about television in that regard? The research results indicate that TV remains to be the primary source of information albeit it is rapidly approached by the Internet. These two media are the most influential. The influence of radio, as well as its consumption in Macedonia, is slightly declining. Final question. As you do a lot of market research you have a good knowledge of consumer behavior. What do most brands and companies misunderstand about consumer behavior? In one Bain’s survey, I have read that 80 percent of CEOs believe that their brand provides a superior customer experience while only 8 percent of their customers agree. Such results which completely dissolve customer expectations are not rare. The customers’ decisions are mainly driven by either rational or emotional motives. Working for many clients from different industries we’ve noticed that many brands overestimate the influence of one over another depending on the person believes and experiences the decision makers. For example, if the person has previous experience in advertising, psychology etc. then everything is emotional if the decision maker has a background in trade than everything is about the price, which means rational. Not just finding but accepting the right ratio of customer drivers for a particular industry and particular market segment is of key importance. The emotional vs. rational ratio may vary significantly depending on industry and it is of crucial importance to focus on key issues which concern your customer and allocate company resources and efforts respectively.